News For Tonight's WWE SmackDown And 205 Live - Gauntlet Match, Tournament Finals, More - Wrestling Inc.
Tonight's WWE SmackDown and WWE 205 Live episodes will take place from the Bankers Life Fieldhouse in Indianapolis, Indiana. 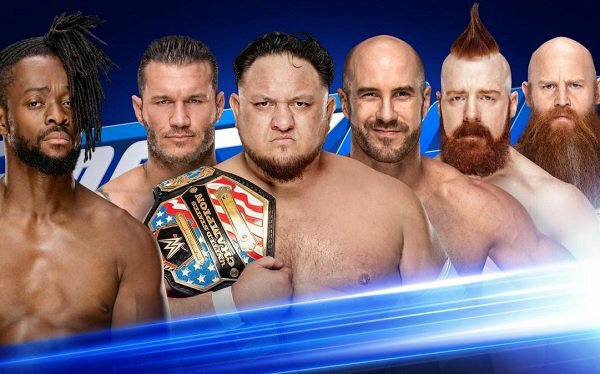 Tonight's SmackDown main event will feature Kofi Kingston running the Gauntlet Match against Randy Orton, Rowan, The Bar and WWE United States Champion Samoa Joe. The Miz will address Shane McMahon and WWE Women's Tag Team Champions Sasha Banks and Bayley will confront The IIconics. 205 Live will feature Tony Nese vs. Cedric Alexander in tournament finals to determine the WrestleMania 35 opponent for WWE Cruiserweight Champion Buddy Murphy. * What's next for Becky Lynch and Charlotte Flair? Stick with us throughout the day for updates on tonight's shows and be sure to join us for live coverage at 8pm ET.